A low fat diet restricts the consumption of calories, cholesterol and of course, fat. A diet rich in fat not only increases weight, but can also raise cholesterol levels, increasing the risk of heart diseases. Fatty foods also have relatively lower amounts of vitamins and minerals present in it. In order to lose weight, you need to consume low calorie and low fat food as much as possible. Some simple tips for reducing fat include omission of red meat, whole-fat dairy products and junk foods. Here are some easy to prepare low fat recipes for you to try. You can make delicious and sumptuous crispy chicken without a frying pan. Yes, you heard that right. Oven fried chicken is a healthier alternative to deep fried chicken. Fry, or rather bake the chicken in the oven to get the crisp and crunch of deep fried chicken without the addition of extra fat. The chicken is crispy outside and juicy inside. 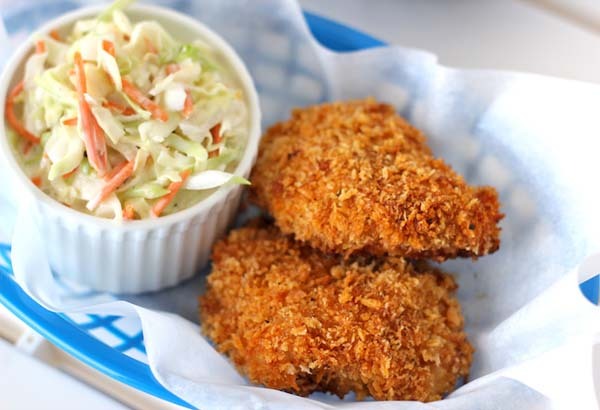 Pair oven fried chicken with coleslaw or mayonnaise dip for a tasty treat. Get Recipe Here. 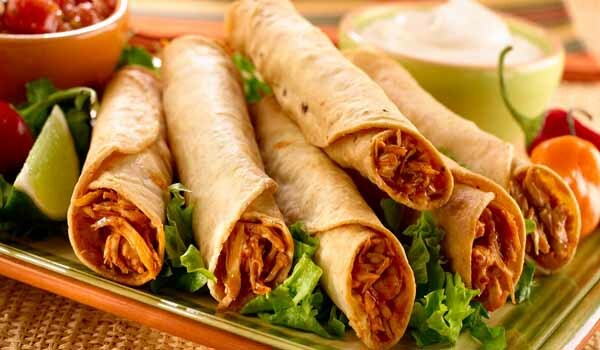 Chicken Flautas is a famous Mexican dish, prepared using flour tortillas instead of corn tortillas. They are extremely easy to prepare and taste amazing. You can add herbs, spices and even cheese to make it more palatable. Chicken Flautas goes best with dips, sour cream and sauces. Serve this yummy finger food with beans and rice or a salad for a complete meal. Calorie conscious people can also prepare without the cheese. Get the Recipe Here. 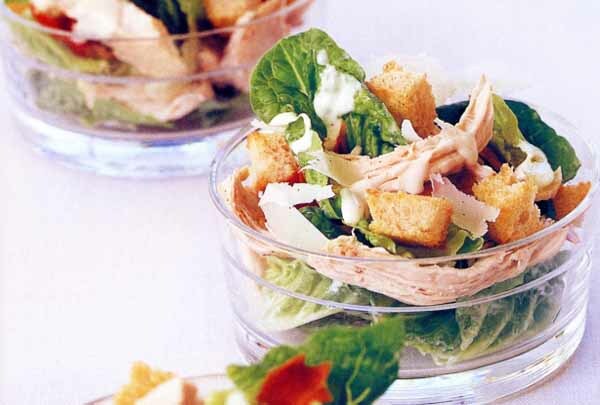 The popular Caesar salad is believed to have been invented by Italian chef Caesar Cardini in 1924. It is a traditional salad of the Americans and often serves as a side dish. A Caesar salad is prepared by combining the romaine lettuce, cheese, olive oil, egg, croutons, etc. When you name Caesar salad, people on diets often reject it owing to its creamy dressings and deep-fried croutons. Fret not; you can prepare a tangy, low fat Caesar salad by following this simple recipe. Get The Recipe Here. 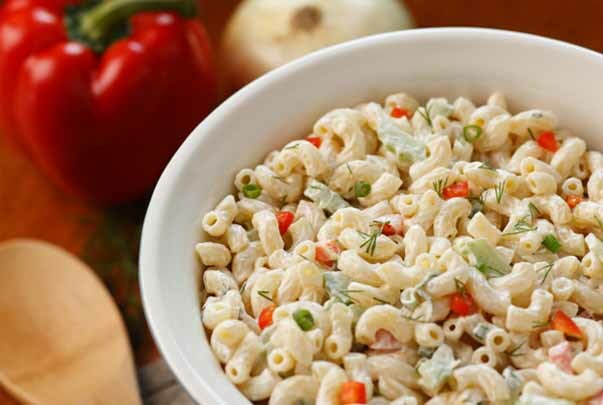 An Italian pasta salad is an extremely popular choice for barbecue, picnic, birthday parties and evening snack. It is ideal for summers, when the days are too hot to try heavy and oily foods. You do not have to heat this pasta prior to eating. Eat it cold or at room temperature. If you want, you can use a vegan, dairy-free and eggless mayonnaise to make it creamier. Throw in some vegetables like cherry tomatoes, sweet corn and beans into the pasta salad. Get the Recipe Here. This delicious soup is high in protein and low in fat. 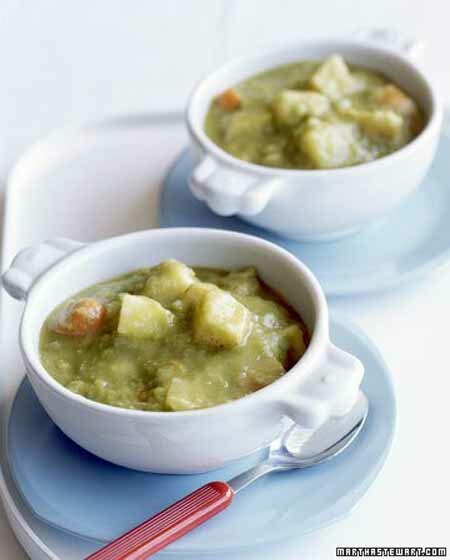 The chunks of potato in this soup bulk it up, keeping you full for longer time. This soup will warm you up in cold winter days. You can also store this soup in airtight containers for later usage. It will stay for 4 to five days in the refrigerator and longer in the freezer. You can also spice up this soup by adding garlic, curry powder and oregano. Get the Recipe Here. Baba ghanoush is a renowned Middle Eastern dip prepared with mashed eggplant, mixed with olive oil and other seasonings. Bake or boil the eggplant in open flame so that the pulp acquires a smoky taste. Add tomato, garlic pomegranate concentrate and lemon juice for enhancing the taste. Baba ghanoush is usually served as a starter or appetizer. Serve it with rice or vegetables. This Baba ghanoush is prepared without oil, making it a low fat vegan dish. Get the Recipe Here. Watermelon sorbet sounds like a complex dish, but is quite easy to prepare. It requires just five ingredients and can be made in a blender or a food processor. 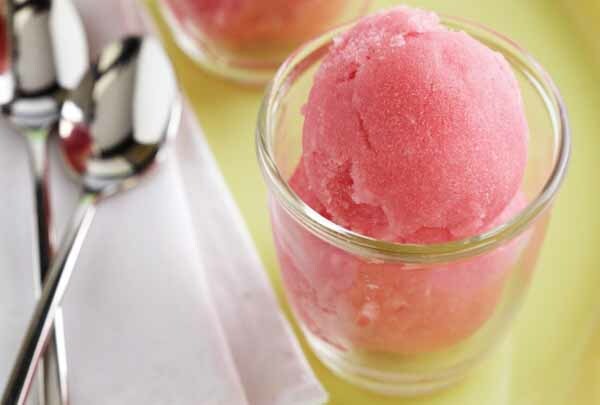 This watermelon sorbet is dairy- free and is extremely popular among the kids. Moreover, it is low in calories and is a great source of antioxidants. Prepare this fat free dessert on a scorching summer to refresh yourself. Get the Recipe Here. 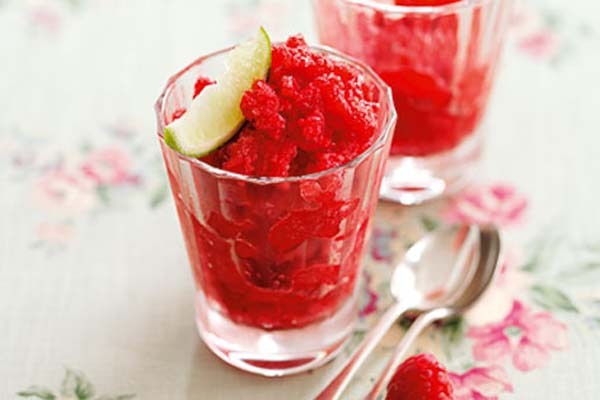 This cool, icy treat is perfect for the hot days of summers. Granita is a traditional Italian ice dessert prepared with fresh fruit syrups like berries, grapefruit, oranges and watermelon. It is not just for the kids, adults love it equally. You can also add lemon juice or zest for a tangy flavor. Granita can be stored for 2 weeks. Get the Recipe Here. Chocolate mousse is one of the easiest and satisfying desserts you can eat without feeling guilty. It is richly flavored, uses minimal ingredients, has a silky texture and is light as air. 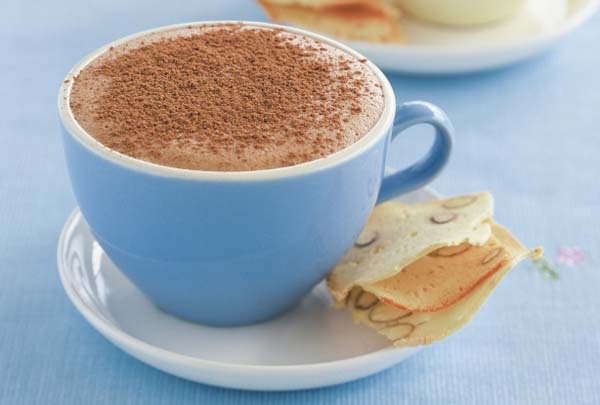 Prepare chocolate mousse using dark chocolate as it is rich in antioxidants and keeps the metabolism levels high. Serve the mousse with no added creams to limit the fat intake. Eat just one spoon of this chocolate mousse and stay hooked on it forever. You can also use it to fill your cakes and tarts. Get the Recipe Here. Tacos are a Mexican dish extremely popular among people of all age groups. You can make this delicious Mexican dish for your family with minimal efforts. All you need is three easily available ingredients and a crockpot. The chicken thighs can withstand hours of slow cooking without losing its texture and flavor. 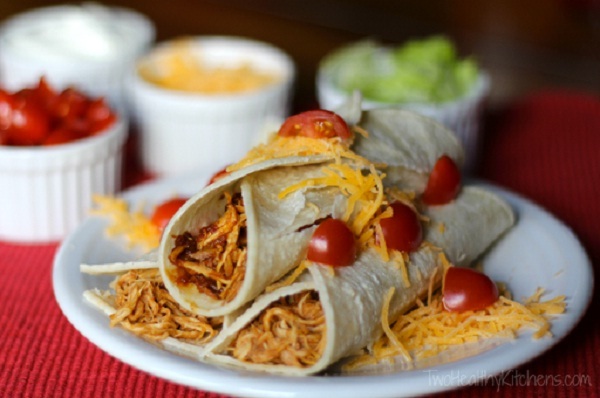 The recipe mentions taco shells, but you can also substitute it with tortillas or bread toast. Get the Recipe Here. This delicious recipe is loaded with healthy ingredients like ground turkey, brown rice, corn kernels, black beans and tomatoes. The peppers take 4 to 5 hours in the slow cooker. When cooked, the peppers turn out moist, flavorful and tender. Capsicum or bell peppers taste amazing when cooked in crock-pot. 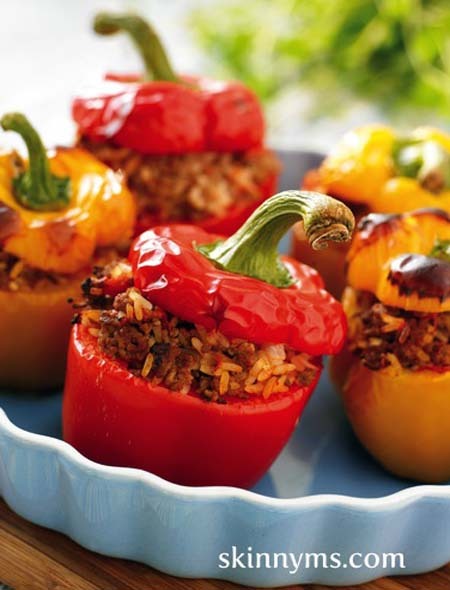 You can pair stuffed peppers with salads or brown bread. Get the Recipe Here. Crock pot Black Bean Chili is a delicious vegetarian meal prepared with black beans and loads of healthy vegetarians. Black beans combined with tomatoes, cumin and onions create a fantastic dish. Black bean chili originated in New York and is considered the tastiest hot and spicy dish. This recipe is ideal for winters. Pair it with tacos, tostados, enchiladas and tortillas for a hearty meal. Cook in a crockpot all day and serve it to the family for dinner. 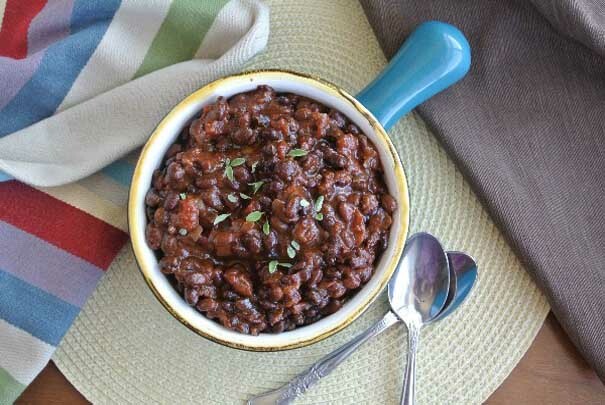 Apart from the taste, black bean chili is an excellent source of fiber, vitamin C, folate and molybdenum. Get the recipe here. Tropical smoothies are made with the assortments of healthy tropical fruits like mango, papaya and banana. It is not only quick to prepare, but is also nourishing and flavorful. Smoothies are an excellent way to get the daily dose of vitamin C and other essential nutrients. You can also add bran and oats for a filling breakfast. Follow the recipe as it is or change the fruits as per your choice. Get the Recipe Here. Make the most of the sultry weather with this delicious blueberry banana smoothie. Blueberries are packed with fiber, antioxidants and vitamin C, making them a healthy evening snack. 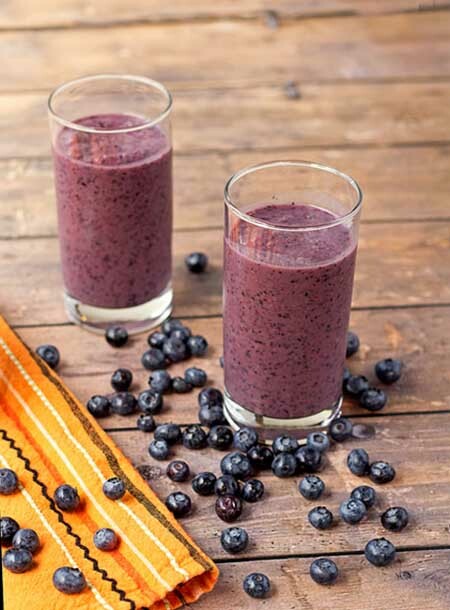 Pair the blueberries with banana for a fiber rich beverage. 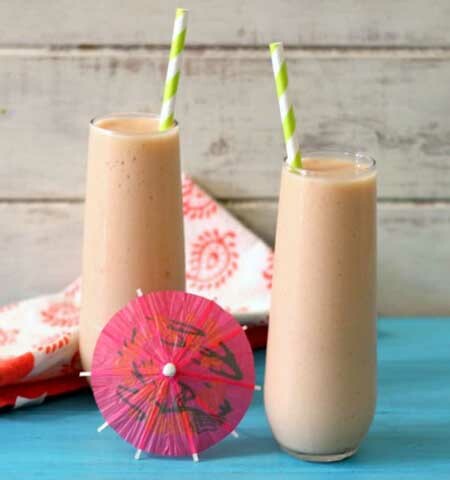 This easy to prepare smoothie will make a refreshing treat for your breakfast as well. The smoothie contains only 6 grams of fat and zero trans-fat. It can also improve your mental health with regular consumption. Get the Recipe Here. Do not let the strange color dissuade you from trying out this nutritious beverage. 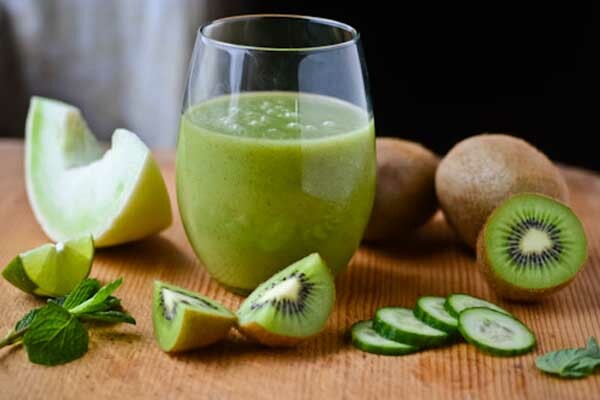 Made with honeydew apple and kiwi, the smoothie tastes delicious. It is a good source of potassium, carotenes and vitamin C. This low fat smoothie will make an energy boosting drink for your busy mornings. It will keep the energy levels high and will elevate the mood in a moment. Get the Recipe Here. 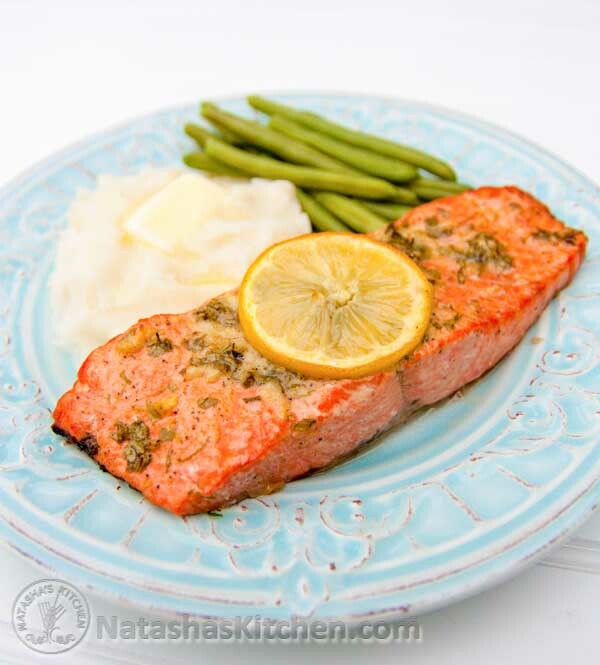 Baked salmon is an excellent recipe for the beginners. It is easy to prepare and requires little effort. The flavors of parsley, mustard, garlic and lemon juice stand out in this recipe. Serve it with rice or baked potatoes for a fabulous dinner. Make sure that you bake the fish at low temperature so that it melts the fat and leaves it moist and tender. Get the Recipe Here. 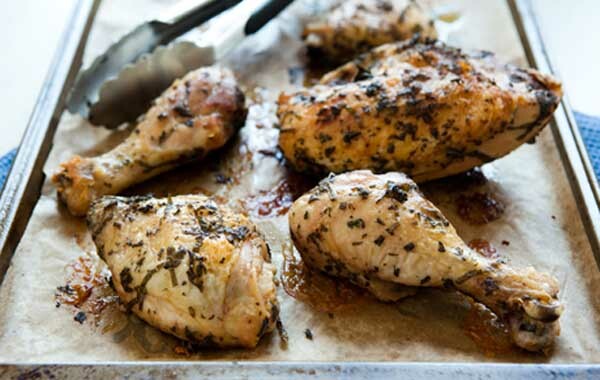 Lemon herb chicken is one of the most popular low fat chicken recipes. The dish bursts with the tangy lemon flavor, while the herbs like oregano and thyme add an exotic touch to the food. You can add garlic and mustard for enhancing the taste. Stuff the chicken with onion and lemon to give flavor to both chicken and gravy. Lemon herb chicken is extremely versatile and goes well with rice, vegetables and a side dish for a filling meal. Make this dish this weekend and your family will surely love you for this. Get the Recipe Here. Stir-fry is one of the most popular Asian dishes. 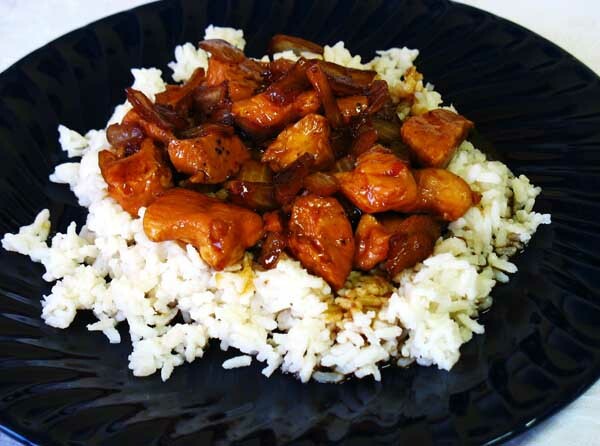 Chicken stir-fry is a quick and easy to prepare dish. It is prepared in combination with various herbs, vegetables and spices. Chicken stir-fry comes packed with nutrients, required for speedy weight loss. You can add beans sprouts, beans and bamboo shoot to enhance the nutritive value. Serve it with noodles and fried rice for a complete meal. 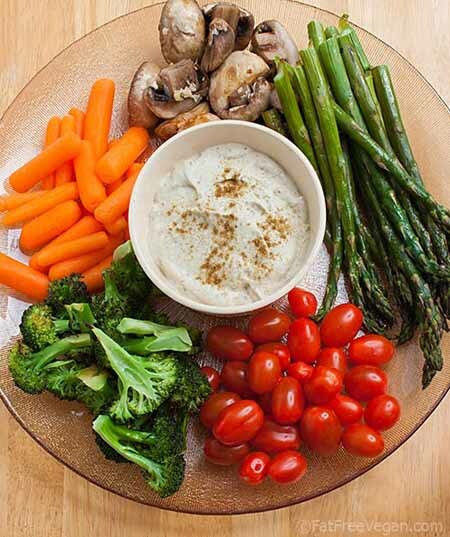 You can add as many vegetables you want; there is no limit to it. Get the Recipe Here.